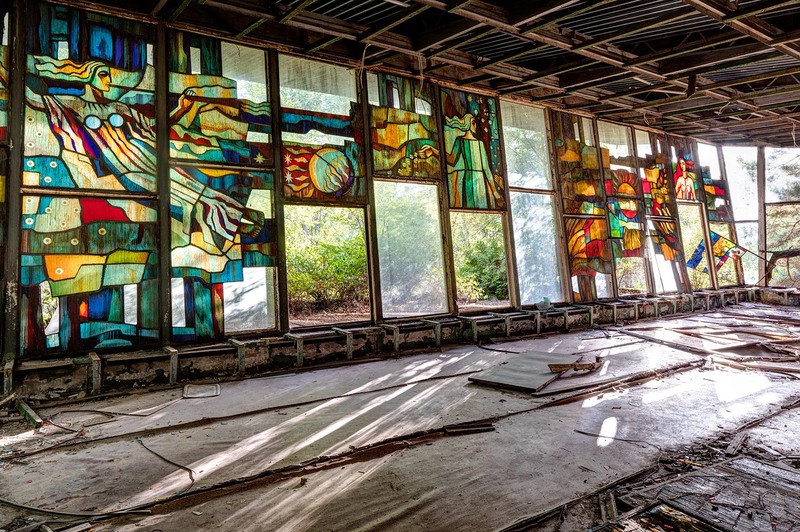 This would have been a nice cafe on the waterfront with vibrant stained glass windows. Despite its tragic fate, Pripyat was a utopian new town designed to house the skilled workers and scientists at the power plant. It had excellent leisure and cultural facilities and was set in an area of natural beauty. You can imagine that the people living here would have been happy.